Home > England > Devon > Towns and Villages > Westward Ho! A village named by a book! 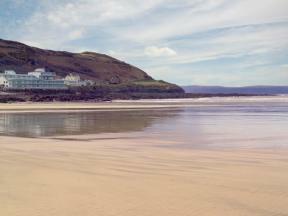 Westward Ho was named after the popular novel by Charles Kingsley. 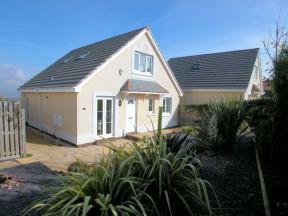 The village lies on the north Devon coast, just a mile or so from the market town of Bideford. 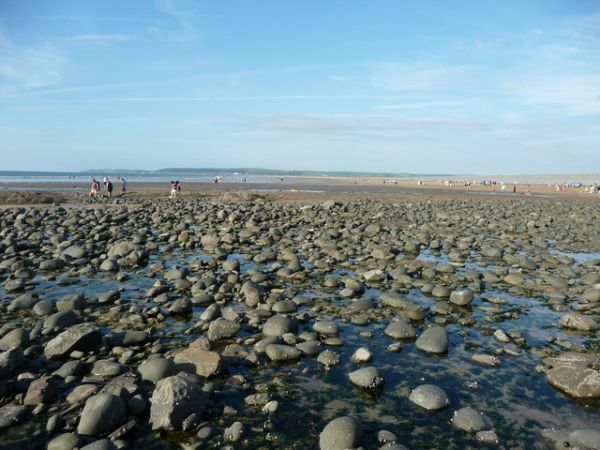 There are two miles of lovely sandy beaches, which makes Westward Ho! a popular destination for family holidays. Pebble Beach leads to Northam Burrows Country Park, an area of sand dunes. The dunes are home to a wide variety of seabirds, insects and wildflowers. The Burrows are also grazing land for cattle, sheep, and horses. 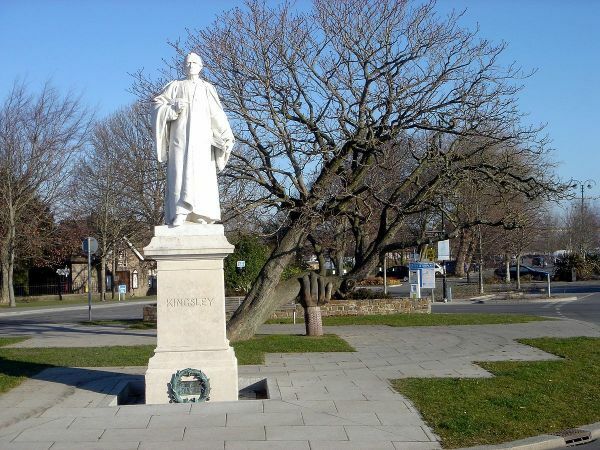 Novelist Charles Kingsley was a Devon native, born in Holne in 1819. 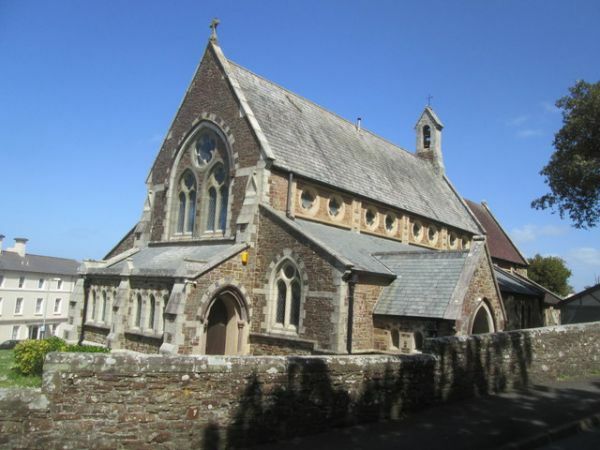 His childhood was spent at nearby Clovelly, where his father was the parish rector. Though he pursued a career in the church, eventually rising to be a canon of Westminster Abbey and tutor to the Prince of Wales, he is best known for his novels, particularly The Water Babies (1863) and Westward Ho!, written in 1855. The novel was set in Bideford, which Kingsley knew from his childhood.The success of the book made Kingsley a household name, and businessmen in the Bideford area were quick to seize on the sudden notoriety of the area, launching initiatives to encourage tourism based on the book's popularity. A company chaired by the Earl of Portsmouth developed a new hotel, and named it the Westward Ho! Hotel. Villas built beside the hotel were also named after the book. More villas followed until the development was of sufficient size to become a village in its own right. The new village was, not surprisingly, named for the book as well, becoming the only British settlement before or since with an exclamation mark in its name. 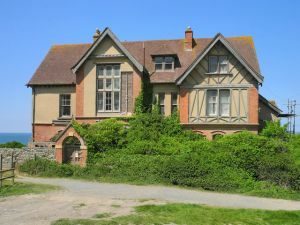 The newly developed village was perfectly timed to coincide with the British interest in seaside holidays popularised by the railway, and in addition to residences, the village had several busy holiday camps. However, as the Victorian passion for seaside holidays waned, the holiday camps closed and the village became more of a residential area. Several holiday camps remain, but for the most part Westward Ho! relies on seasonal tourism, with families drawn by the beach and natural environment of the seashore and dunes. Because it was developed so recently compared to most other British settlements there are very few historic sites. Holy Trinity church was built in 1870, to be followed by a Baptist church in 1895. On the top of the cliffs is Seafield House, built in 1885 as a summer residence for Brinsley Nixon, a London banker. Over the years Seafield House was used as a private dwelling, an Army barracks, and a guest house. During WWII the field below the house was used as a prison for Italian POWs. As of this writing, the house is vacant, and is locally known as the Haunted House or Spooky House. One of the oldest buildings in the area is Youngaton Farm, dating to around 1750. Slightly younger is Navarino Cottage, built in 1827 by Jonathan Henderson, who served in the naval Battle of Navarino in the Greek War of Independence. Not surprisingly, many 19th century buildings in Westward Ho! are named for Charles Kingsley, including Kingsley Hall, built in 1882 as the gymnasium for a college named after the author. 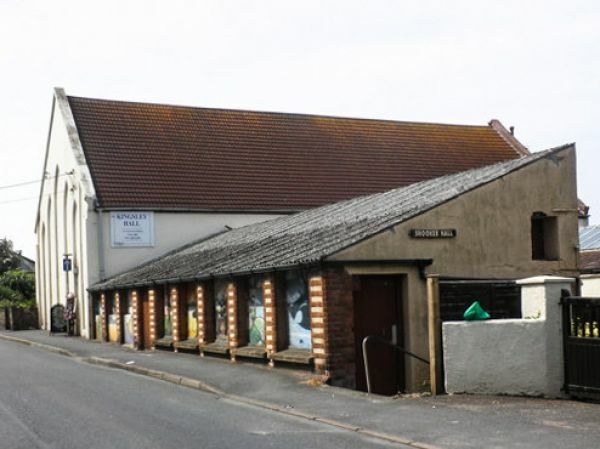 It now serves as the village hall.